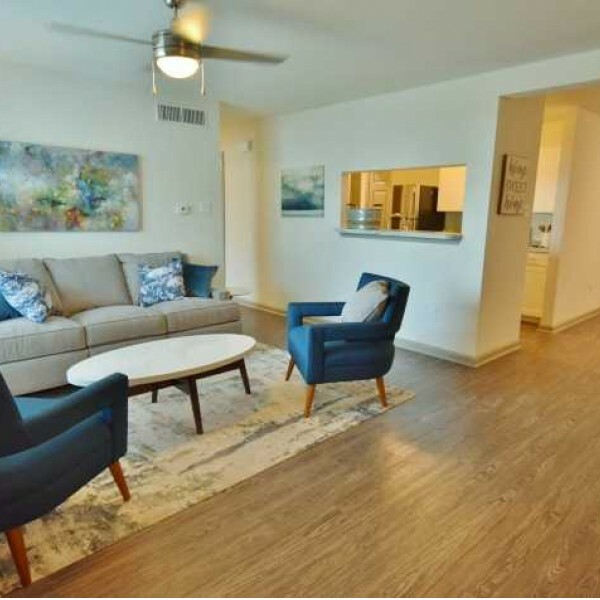 The Reserve at White Oak is a Newly Renovated Apartment Community in the desirable Shenandoah area of Baton Rouge, offering residents an array of attractive amenities in a tranquil environment. Choose from a range of One, Two, Three, and Four Bedroom Floor Plans complete with Full-size Washers and Dryers, Fully Equipped Kitchens, and a slew of Upgraded Features. Enjoy access to a Brand New Fitness Center with State-of-the-Art Equipment and Yoga Room, a Brand New Resident Clubhouse with Starbucks Coffee Bar, Two Sparkling Swimming Pools and Resident Social Events. Conveniently located near I-12 and I-10, commuting to Downtown Baton Rouge from the Reserve at White Oak is a breeze. Our community is also nearby a bevy of parks, wooded areas, rivers, and water parks, providing plenty of options for outdoor recreation close to home.